6 Scary Ways How Hackers Can Intrude Into Your Digital Life! 6 Scary Ways How Hackers Can Intrude Into Your Digital Life! #3 Is The Most Common One! Gone are the days when all you needed to save from hackers were – credit cards ? ! An interesting news did the rounds back in 2014. The FBI warned healthcare providers to guard against cyber-attacks after one of the largest U.S. hospital operators, Community Health Systems Inc, said “Chinese hackers had broken into its computer network and stolen the personal information of 4.5 million patients”. Yes, you got it right! Hackers can even use medical records to steal names, birth dates and policy numbers and use this information to create fake IDs, buy medical equipment which they later sell. Jaws dropped to the floor?? Save them, because there are other personal belongings you need to SAFEGUARD. As we know, threats could be hiding in every corner of the online world; we must look after the security of computers by running updated antivirus software. Cybercriminals have many ways of obtaining our personal data and commit fraud using that information. You always keep guessing what can hackers do until an unfamiliar act affects your digital life, sending you in a tizzy. Q: Why Do People Hack and What Hackers Can Do to Your Computer and Data? We know you have the same question; why do people hack what do hackers do with stolen data? Well, some of them do it for fun (seriously) while the others like to cash in with the data they steel. Since we know there are multiple ways Hackers can steal information from you. Here is a list of all prominent activities to help you know what hackers can do with your IP address, and what do hackers do with the stolen data. Hopefully, it could help you to be prepared in advance against the hacking attacks. Do you feel that hackers are attacking just large companies? Well, not really! They manage to get access of your home computers as well. Hackers can easily tap into your computer by connecting remotely with your system. They can hack easily if they came to know your IP address, password of your local computer, installing programs like Backdoor and Trojans in your system or by cracking a Wifi password. This smart mind who just hacked your computer, can bypass the authentication of a system, the databases of computer, software programs, Internet users and so on. 2. Are you sure your website has not been compromised? If you are a website owner, you definitely need to worry about its security. The uncanny practice of hacking websites is no more intended to steal your credit card numbers only; the hackers have gone far ahead. As per a recent survey by Wordfence, the modern day cyber criminals try out almost everything to steal even the minute of details from your website. Even they monetize the visitors of your site maliciously. Here are the findings from 873 site owners who reported an intrusion in their WordPress websites. Defaced website: More than 25% of the hackers defaced the WordPress websites to replace the content with their own or took the sites offline just for the sake of recognition of their criminal acts. Email spam: Near about 20% of the respondents reported that their websites were compromised to send email spams. This allows the hackers to persuade people into click through their malicious website. Phishing: Around 4% of the hacking attacks were related to social engineering or phishing that intends at fooling the visitors into furnishing their important information. This is a severe attack since the hacker can trick you to provide the username and passwords of your social media accounts, bank accounts, etc. They could misuse these details to steal away your money or send spams through your accounts. Others: The other common activities of hacking websites were related to distributing malware, steal user data, attacking site, ransom ware, host malicious content, and send referrer spam. If you are still thinking of what can hackers do next, before moving ahead, just take care of your smartphones. 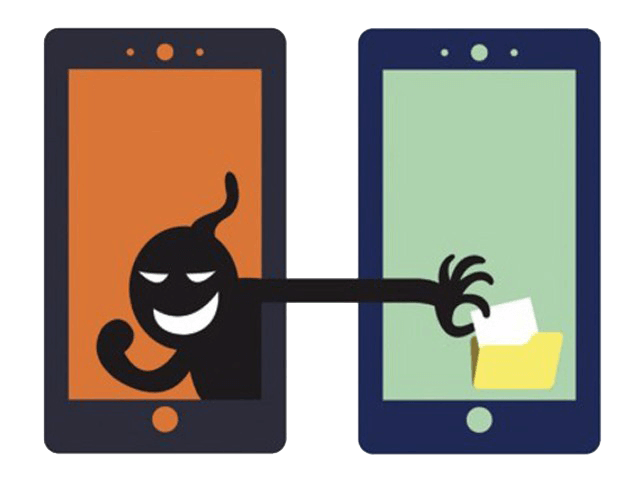 Yes, the internet hacker can tap into our smartphones by various technical ways, like using ‘man-in-the-middle attack’ in which hackers can eavesdrop on your calls. They sometimes don’t require your mobile data, instead they use your smartphone in order to fulfill their wrong purposes. A new technique invented by the hackers use amplified radio waves to take control over Androids and iPhones. Nowadays, hackers are trying to steal information using different techniques like Phishing, Keylogger, social Engineering, Trojan horses and so on. After getting hold on social media account, the internet hacker can send spam connection links to the contacts or even start blackmailing. So, we have to take proper safety precautions while using social media accounts. If you are using online banking transactions, then you may run the risk of losing your personal information or your money can be stolen, which is another example to show what hackers do to satisfy their desires. There is an attack called ‘Man in the Browser (MitB) attack, alters the details entered by the user like payment details and amount leaving behind no clue to the users. Many fraud detecting software have been developed to prevent against hackers attack, but still they are smart enough to bypass the authentication mechanism. The Annoying Reasons Behind Hacking – Why Do People Hack? Several startling reasons account for the activities of hacking websites and stealing away of your personal belongings. The findings of ‘Thycotic Black Hat 2014 Hacker Survey Executive Report’ as published in Sitepronews, reveal some interesting facts. If you could believe, for 51% of the intruders, hacking is a thrill seeking activity that they love doing just for fun [Seriously]. Social consciousness or moral compassing is another prominent reason, which accounts for 29% of the hacking activities. Moreover, while 19% of the internet hackers do so for monetary gains, 1% do it out of notoriety. You never know what hackers can do to the Society! With reference all these sensational hacking operations, it is imperative to be aware of the online threats, before we fall prey to the mischievous tricks. You never know what can hackers do and up to what extent, they pose a serious threat to the society. Hence, the foremost focus should be on the security of our digital devices in order to avert such frauds. To find more information on what can hackers do, be in touch with us at ReviewsDir. Feel free to contact us, and we will suggest you the best ways to fight against their acts of hacking websites. So What’s the Solution Actually? These people are sure unpredictable, however, digital security geeks have worked on several solutions to combat hackers attack. Among the most successful ones we have is a VPN. It is not only built to access geo-restricted websites, but a primary purpose of VPN is to protect you from hackers and snoopers. As we discussed earlier that cybercriminals are everywhere, it is wise to connect to a safe and secure VPN that can fight with these hackers. For sure, it is not easy to break VPN-enabled connection since the location in untraceable and the hackers just cannot intrude easily. BONUS – Discussed more about hackers, let’s have some Big names here! Well we discussed enough about hackers in this post. They are humans like us, but their fun is hacking! There must be hundreds and thousands of hackers in the world, but we know a few that had become the news of mainstream media for years. Here is the story of five World’s most famous hackers and their karmas. In this article, you have talked about how can we protect ourselves from hackers. But what about digital surveillance programs by the agencies and organizations? Was Edward Snowden’s whistleblowing on spying agencies that monitor and collect our personal information accurate in his warnings? Don’t you consider them real hackers? Digital surveillance has been around us for many years. Most of us know very well about it, yet we choose to ignore it.